This artwork depicts the beauty and diverse flora of Similajau National Park, Bintulu, Sarawak. 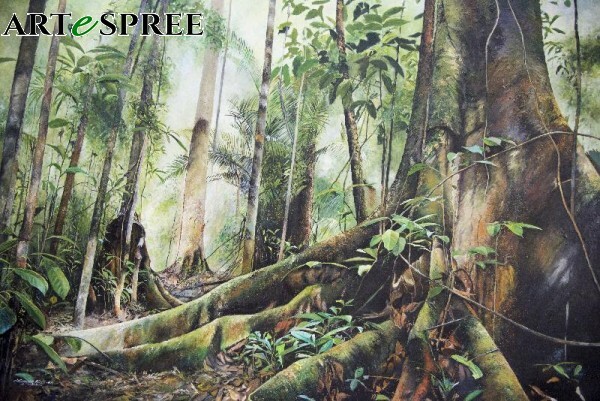 The artist hopes to bring the viewer into the rainforest of Sarawak by portraying dramatic realism in this artwork. This artwork reflects the artist’s deep respect and love for Mother Nature. This artwork is a narration of the tropical rainforest of Similajau National Park, Bintulu, Sarawak.